The courses you are required to take have a specific pedagogical basis and are meant to be taken one after the other in each year of your programme. Outlined below are the objectives of each year of study. In this course you will use anthropological approaches to increase your understanding of global issues in diverse locales. This course challenges you to engage with other ways of knowing and being, and to rethink your taken-for-granted knowledge and beliefs through the comparative analysis of the human condition. This course will take a problem-based approach to a range of topics such as: the effects of race and racism, sources of religious conflict, alternate genders and sexualities, First Nations and health, international development and issues of social inequality. Students are encouraged to bring their own knowledge and experience as the first step in "thinking like an anthropologist" (i.e. rethinking the taken-for-granted). The emphasis in this course is developing skills (analytical thinking, writing). Each of the courses offered at the 2000-level enhances students' knowledge of the variety and breadth of theoretical and critical orientations that are at the very core of anthropological inquiry. Critically introduces the history and major traditions of the discipline of Anthropology including fieldwork methods and ethnographic writing. This course further introduces the distinctive contributions of anthropology and provides students with a comprehensive introduction to the core concepts required for upper level anthropology courses. Major national traditions of anthropology are distinguished, while their shared emphasis on fieldwork and ethnography is underscored. Lastly, this course will introduce the distinctive and lasting contributions of the discipline. In the third year, students learn about how anthropologists design and conduct research in the context of contemporary issues and questions. Fieldwork questions, methods and practices are the principal focus of the core course. Year 3 Course Requirement: AP/ANTH 3110 6.0 Acquiring Research Skills. (Reserved for 3rd year Anthropology majors). This course is offered in the Fall/Winter term, as well as an international Field School in Athens, Greece, in the summer term. The Field School will be offered in the summer term 2016. See the course blog for details. The purpose of this course is to introduce students to the discipline, experience and practice of anthropological research. 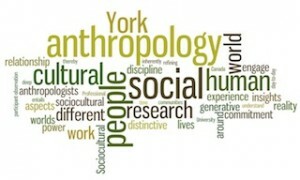 The task of "doing anthropology" involves a broad range of considerations, such as: defining and selecting research problems, decisions concerning appropriate and/or feasible research strategies as well as moral and ethical issues. We will explore a variety of research tools and techniques used in anthropological fieldwork, such as: narrative and life history and films as well as the broader application of anthropological research methods to non-traditional research settings. While the emphasis will be on the hallowed anthropological "trademark" of fieldwork (which includes participant- observation, interviewing and recording data), our analysis will be informed by contemporary explorations and critiques of fieldwork practice, for example, the production of anthropological knowledge, the politics of representation, and how anthropologists are responding to a changing world. Format: Two lecture hours and one tutorial hour. In their fourth year, honours students explore the breadth and depth of anthropological theory, knowledge and practice. The core course in this year is the Honours Theory Seminar. Stuart Hall once said that the trick of social and cultural analysis is not to fixate on "theory" but to enjoy theorizing. I take him to mean that theorizing is a social and political practice and something anthropologists do all the time. The purpose of this course is to explore a range of theoretical developments in socio-cultural anthropological as they have developed over the years. As a discipline focused on society and culture, anthropology aims to make sense of wide ranging social processes and practices to evaluate shifting relations between individuals and society. Anthropological theories aim to interpret social action and explain social transformations. In this course, we examine how different schools of thought in anthropology, at different historical and political junctures, have forwarded different theories of social and cultural life. The course focuses on two broad processes of theorizing: as the cultural production of ideas and as critical anthropological practice. Our aim is to examine the contributions of these theorists and the ensuing debates. This course is organized such that by the end of the year you will understand the 'high points' of different theoretical schools and see how theory in anthropology is produced and circulated. In addition to this, we will also examine the current debates that have critically informed questions of ethnographic methods, writing, and representation. In the fall semester we examine historically significant texts that have contributed to the foundation of anthropological theory: how modern anthropologies of the twentieth century were created, and out of what historical, social, political and cultural conditions, tensions, and ambiguities they were fashioned. In the winter semester we examine a range of concepts central to contemporary anthropology, such as contemporary theoretical productions and the kinds of anthropologies it may be possible to imagine, that can deal with the global conditions for public life in the world today. How can thinking anthropologically reconnect social and cultural theory with acts of change? How is this possible today within the contexts of globalization, new forms of public culture and new ways of conceptualizing life itself? The expected learning outcomes of this course are three-fold: 1) to provide students with an introduction to the different foundations of twentieth century social and cultural theory; 2) to introduce students to how theory is informed by the social and cultural worlds in which they live; and 3) to consider the politics and poetics of theory production as discursive and materialist practices.